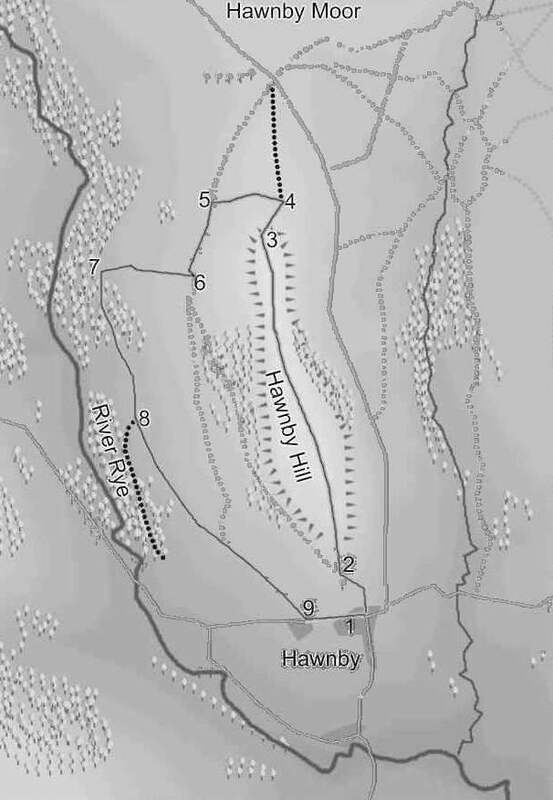 A short walk to the summit of Hawnby Hill, returning to Hawnby village along the western flanks of the hill. 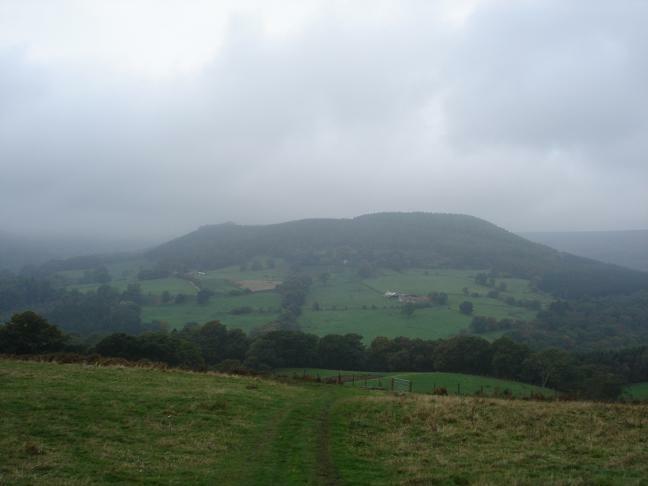 The main feature of this walk is the summit of Hawnby Hill, a long narrow ridge flanks by crags. This walk could be combined with walk SE5489/02: Hawnby to the Escarpment, although at the moment the connecting bridges over the River Rye are down after the recent floods, so you would need to return almost into Hawnby before you can turn west. Park in Hawnby, taking care not to block anyone's access. Head towards the T-Junction at the northern end of the village. A path heads up the hill. The path passes around a small piece of woodland just outside the village. Cross over a style onto the edge of the hill itself. Once over the style, the main path heads west around the base of the hill. You will need to look for a path heading north, straight up the front of the hill. The start might be a little vague, but it will soon become clear, and as long as you are heading straight up you are going in the right direction. At the base of the hill a fence is marked on the OS maps. There is no sign of this now, but a track follows the same route, so turn left onto the track. The track reaches the fence line. The easiest route is to turn slightly left and cut the corner, until the path takes you onto a farm track. Just before you reach Hill End House, take a path heading right across the fields. The path will head towards a corner of the woods. Follow the path left into the woods. Having exited the woods, follow the foot path past Carr House. In the next field, the track will break to the right. Ignore the track and head straight across the field to an gateway. The path now follows a wall (to your right) all the way back to the road. Back on the road turn left back up a slight rise into Hawnby.